The ITSW is an inline fed, fully automatic, tight sleeve wrapper with an angled sealing/cutting jaw which reduces film and energy usage compared to standard shrink systems. The wrapper has an integral shrink tunnel and typically operates at up to 35 packs per minute and faster using a twin lane machine. 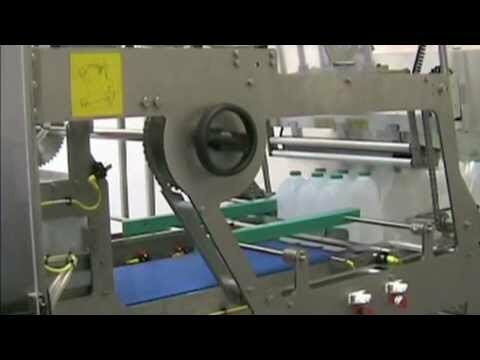 The machine comes in two variants which is the ITSW and ITSWS, which is a servo controlled version of the standard ITSW, which allows the machine to operate at a faster speed via precisely controlled motors on the sealing jaw and either a flight bar infeed assembly or belt to belt infeed conveyors. Although the ITSW can be supplied as a ‘stand alone’ machine it is ideally suited as part of an integrated system and compliments other machines within the Bradman Lake Group.